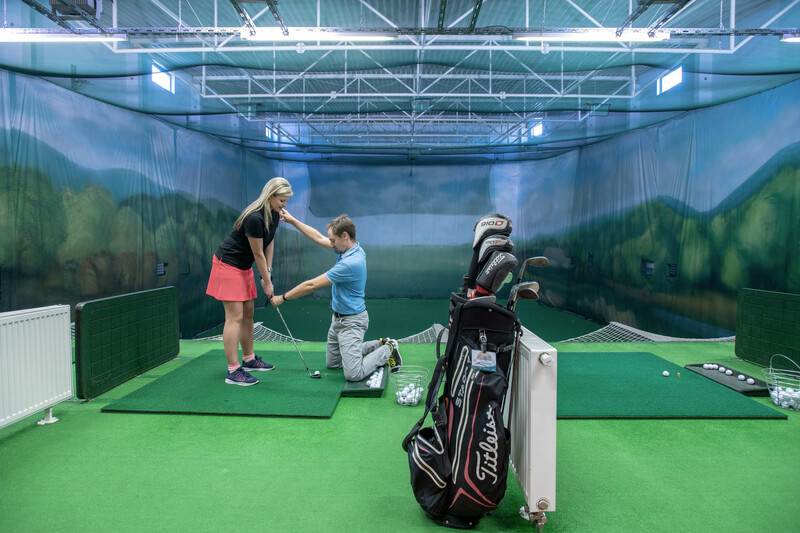 Golf Indoor Step is the largest golf indoor in the Czech Republic and offers a wide range of training areas. 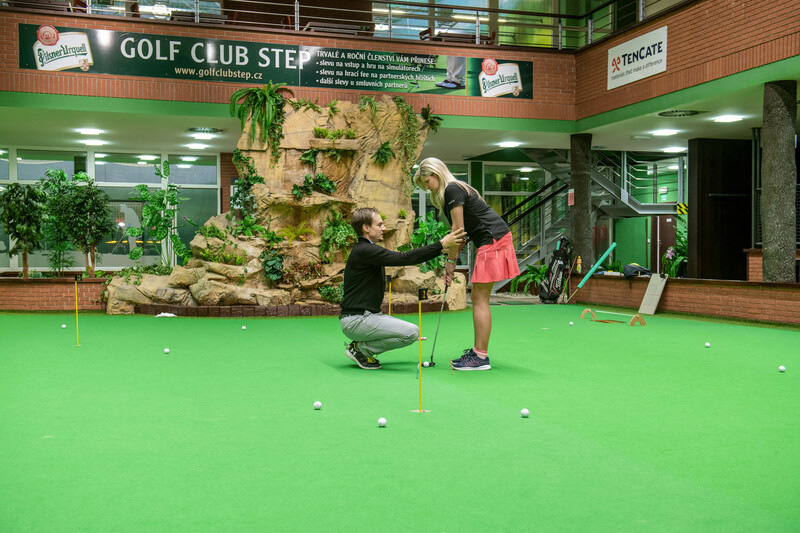 The two-storey driving range offers 16 teeing areas with a length of 35 m. The profiled putting green simulates a natural lawn with a speed of 12 feet. It allows golfers to train both putt and chip techniques. There are 9 golf simulators in the Golf Indoor STEP, one of which is the unique About Golf Curve simulator with a parabolic canvas, one of our pride and the only one in Europe. 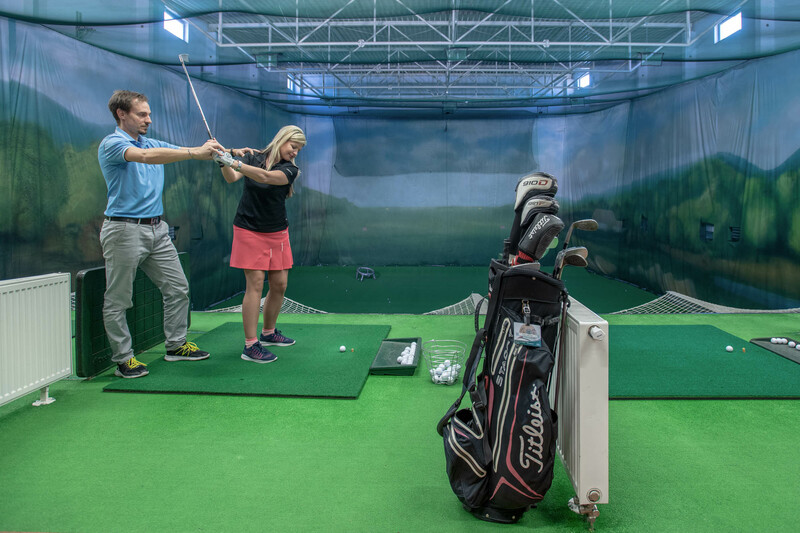 Simulators allow driving range simulation or playing golf courses around the world. Players can play on three Czech courses, for example at the very popular Konopiště (Radecký and d’Este). 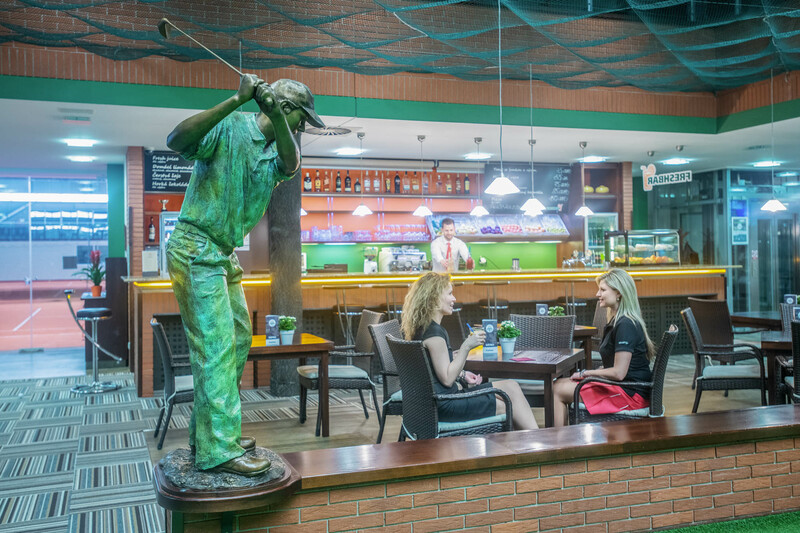 Golf Indoor STEP provides golf coaching services. Both beginners and advanced professionals,but also children, will enjoy their time. Additional services include rental of golf equipment, rental of lockers for bag storage, and refreshments and seating in the FRESH BAR.